To provide early childhood education for pre-school aged children in a joyful, nurturing and safe learning environment. To provide a foundation to each child to be a lifelong learner. To provide high quality care and education for children aged 2 – 5 years by providing a well-planned curriculum and a high standard of pre-school education. To educate children to respect different races, genders, religions, cultures and languages by providing a friendly, safe and caring environment where children can learn at their own pace through the use of a variety of resources and stimulating activities. We cater for all areas of the child’s development: emotional, physical, social & intellectual by encouraging children to become independent and provide a gentle and safe introduction to an educational setting to build the child’s confidence and help the transition between pre-school and school and to work in partnership with parents/guardians to help children to learn and develop and to keep them informed of their child’s development and well being at all times. To build strong and supportive relationships with parents/guardians and to ensure that parents/guardians are treated with courtesy and understanding at all times and that queries and complaints are dealt with promptly. To offer children and their parents/guardians a service that promotes equality and values diversity through an environment that contributes towards learning and development. English medium, affordable, with experienced teachers who are eager to embrace a broad/lateral manner of tuition. Small classes of 12 pupils, where each child has quality time with their teacher, receiving a focused, stimulating and exciting education. 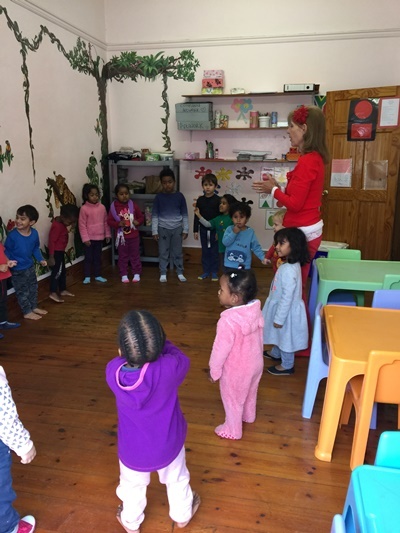 The pre-school offering co-education within a balanced equity profile, preparing and enabling pupils to fully integrate and interact with the broad spectrum of cultural diversity in today’s world. Nurturing of qualities such as honesty, loyalty, integrity, tolerance, leadership, respect, tenacity and self-confidence. Children are to be educated in the classrooms and the outdoors in a balanced fashion. Instill and engrain an appreciative awareness of the sensitive ecology.